The funding for Alzheimer's research is grossly inadequate. The lack of funding is a serious problem. Far more funds are needed in order to stimulate the research that is necessary to solve the problem of finding a cure for Alzheimer’s. Large amounts of money are going into research of other diseases that present only a fraction of the medical problem to our citizens as that faced with Alzheimer’s. AIDS receives far more research money than is appropriate for the size of the AIDS problem in the US. AIDS receives 7 times more money than Alzheimer’s in the NIH budget for the past few years and in the projected budget for 2013. AIDS is not even one of the 15 leading causes of death in the US. Alzheimer’s is the 5th leading cause of disease death in the US. 10 times more people die from Alzheimer's in the US than die from AIDS. It is obvious that the AIDS lobby is very effective and that political correctness appears to rule the day. The Saturday Evening Post – September/October 2008 had an article by Melissa Isaacson about Alzheimer’s disease and her “Mom and Dad” who were both victims of Alzheimer’s. She quotes Dr. David Bennett, director of Rush Alzheimer’s Disease Center. “President Bush was the first to cut funding for Alzheimer’s since 1970. The total National Institutes of Health research budget for Alzheimer’s is 650 million, and the current estimated cost to the economy of the disease is about 148 billion per year and growing rapidly.....It is simply not on the national agenda. I don’t want to take anything away from cancer or heart disease to give to Alzheimer’s,” Bennett says, “but the Heart, Lung and Cancer institutes are four times the size of the Aging institute, and Alzheimer’s will soon be the most costly disease in the United States. Unfortunately with this disease the outcry is not from people who have it. ** I have been writing to the President and to Congress since 2001 telling them of the need for Alzheimer’s funding and how my wife June Berg and my mother Ellen F. Silbaugh both had Alzheimer’s. My mother has since died (October 2007) from the complications of Alzheimer’s. Did he even read my letter? As reported above, President Bush was the first President to cut Alzheimer’s funding since 1970. By cutting the Alzheimer’s budget in the face of a rapidly ballooning problem, it is obvious that President Bush was not and is not in touch with reality. He effectively sealed my wife June's fate. (For almost 8 years he and Congress have “fiddled as Rome burned.”) This attitude is further puzzling when one considers that his wife's father was a victim of Alzheimer's...where was she all this time. Apparently she is also a dim bulb as far as Alzheimer's is concerned. The Alzheimer’s Association reported that the Congress funding for Alzheimer’s in current budget remains flat. NONE of the candidates have ever mentioned Alzheimer’s! I wonder if the President and Congress would like to come to June’s funeral or to the other 70,000 victims that die every year from Alzheimer’s. 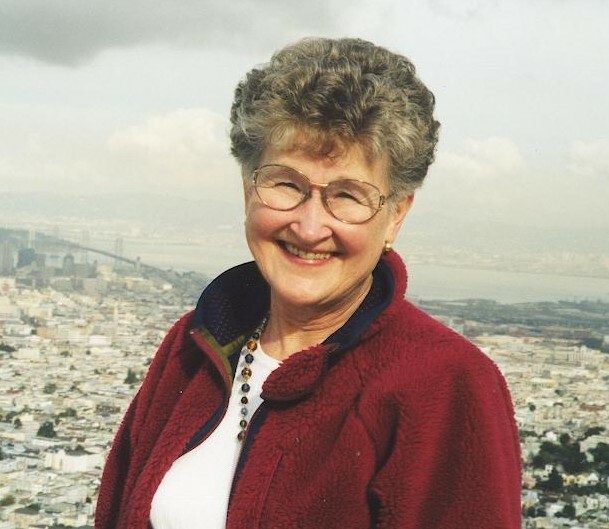 Editorial Note: June died on October 23rd, 2008 from complications of Alzheimer's. The Alzheimer’s Association predicts that the $91 billion in Medicare costs for Alzheimer’s in 2005 will explode into 160 billion by 2010 and $189 billion by 2015. The Medicare costs of $21 billion in 2005 will expand to $24 billion in 2010 and $27 billion by 2015. It will bankrupt our Medicare and Medicaid programs and drag down the economy. President Bush had it in his power to do something about Alzheimer’s in his 8 years in office. President Bush and Congress were at a fork in the road. On one side was June’s life as were the lives of hundreds of thousands of Alzheimer’s victims living in a manageable medical cost economy. On the other side were a vast number of deaths accompanied by a medical cost swamped economy. President Bush with the help of an aiding and abetting congress (who controls the purse strings) chose instead, the road to a staggering death toll with a swamped medical cost economy. During those 8 years of inaction, my mother has died and June has been dying by inches and is in the late stages of this disease. Probably another 500,000 Alzheimer's victims have died during this same time period! 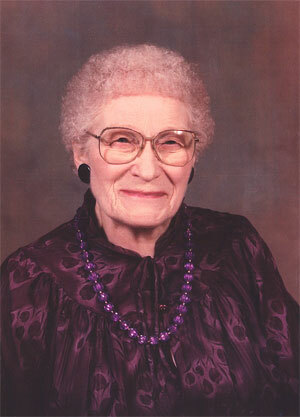 Editorial Note: June died on 23 October 2008 from complications of Alzheimer's! I watched the other evening as Barack Obama accepted the Democratic Party’s nomination for President. He selected a special image enhancing location and surrounded himself with props and worshipping fans like a returning Messiah. I watched as he screamed dramatically into the microphone - “John McCain does not get it!” Well, Blah Blah Obama, you don’t get it either! Alzheimer’s disease sits in the shadows like a huge monster about to engulf our economy and destroy many of our citizens. Neither Obama nor any of the other of the election gang’s cast of characters seem to have the slightest clue. Editorial Note: Obama it turns out is as clueless as Bush or perhaps just does not give a dam. In fact his funding for Alzheimer's by way of the NIH yearly budgets is even less than Bush's funding....and this is in spite of his signing the NAPA legislation on 4 January 2011 to make Alzheimer's a National priority and declaring it to be so on national TV. Note: ** Since July 2001-2008, I have sent out over 40 detailed and documented letters to the U.S. Congress, the President, the Vice President, to National Religious Leaders and the American Legion. There has been very little positive response. I finally gave up my personal letter writing after June's death...no one really reads my letters and pleas for funding. Oh I have sent many letters through the campaigns waged by the Alzheimer's Association but the net results todate are the same as for the past decade! Zero!!! Below is the response by individual person...look up your favorite politician and learn the truth! While there is plenty of blame to go around all of Washington, the only two bright spots from that gang were both Republicans! President Bush's response is listed above. Representative Keith Ellison (No response), Out of fairness to Ellison, later as he gained experience, he became one of the more responsive members of congress. Paul Morin National Commander - American Legion (No response - even our local Legion Post 303 was unable to get a response from the state or the national office. The bright spots but later disappointments were: Proposed letter from Archbishop Flynn to the President did not materialize before his term as Archbishop ended December 2007. Senator Norm Coleman and Representative Jim Ramstad who actually co-sponsored a bill to double Alzheimer's funding - bottled up by Democrats in committee's. Good efforts with a disappointing finish - hopefully better results in the next congressional term! Note: August 2009, the Alzheimer's breakthrough bill has now been re-introduced..result was again nothing!.